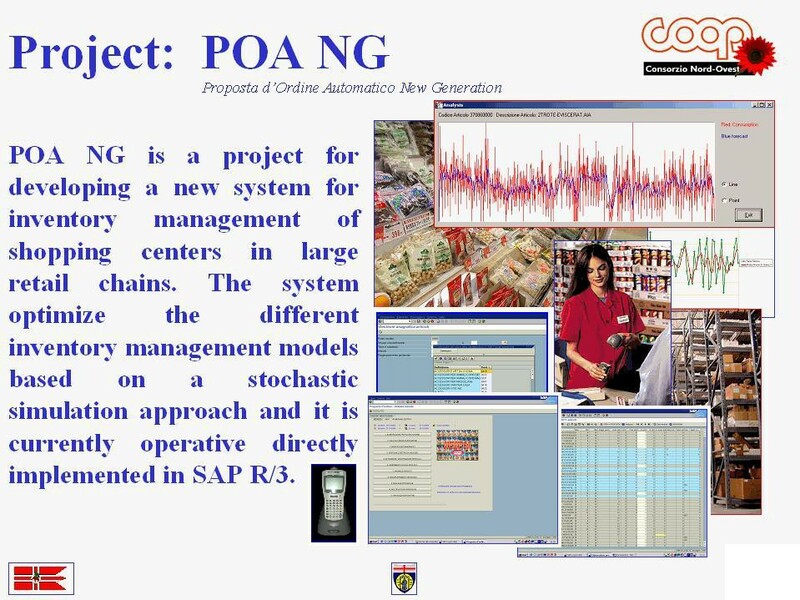 POA NG is a project for developing a new system for store inventory management of shopping centers in large retail chains. The system optimize the different inventory management models based on a stochastic simulation approach and it is currently operative directly implemented in SAP R/3. The system integrates different Retail Channels (i.e. Supermarket, Ipermarkets) as well as different departments (i.e. grocery, frozen goods, no-food,etc. ).